GMI flexiCal Plus is a Windows based software package that will allow customers to easily Test and Calibrate the GMI range of portable instruments to comply with relevant legislation. All GMI portable instruments have two-way communications allowing data to be transmitted and received. 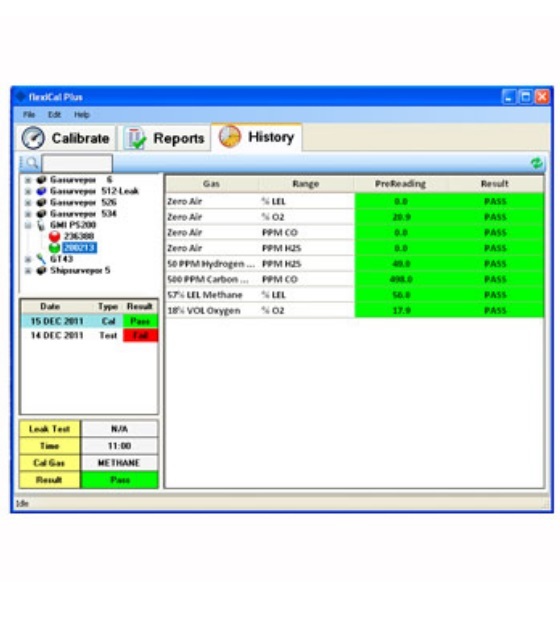 The 'flexiCal Plus' software can be configured to test and / or calibrate instruments either manually or automatically. This function allows the user to specify how instruments will be tested / calibrated and includes gases, concentrations and pass or fail criteria.